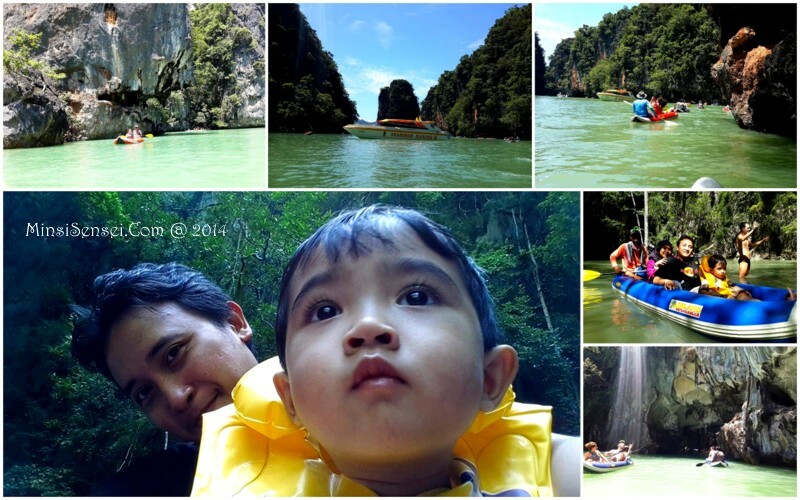 This is our 2nd time returning to Krabi for a family holiday and Thai hospitality is still at its very best. 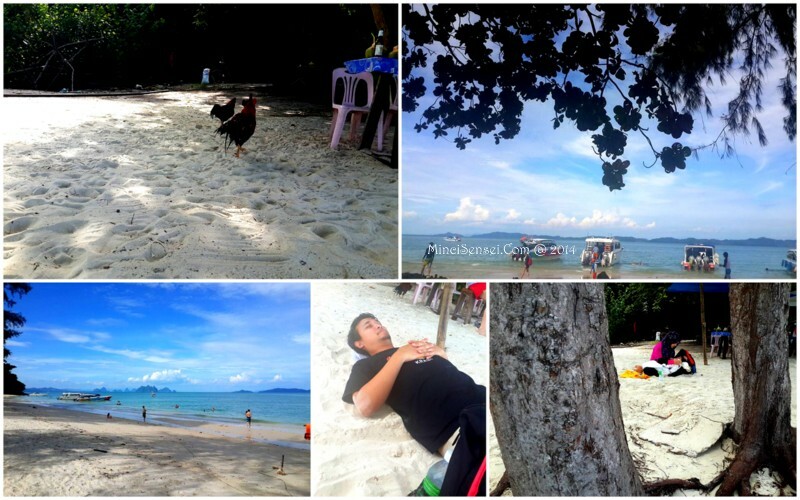 Mr Husband kept saying Krabi is his 2nd home.It used to be Langkawi – begitu cepat sepah dibuang. We took advantage of the Air Asia FREE tickets promo and booked our hotel rooms through the AirAsiaGo.Com website. 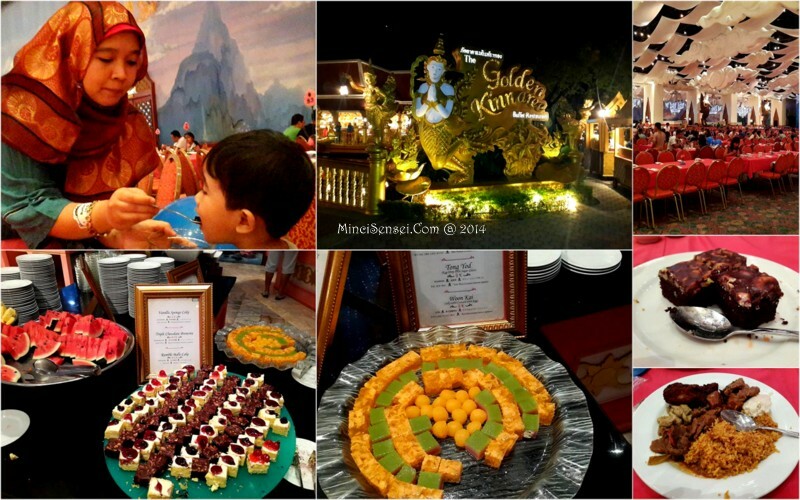 We settled on a 4D3N itinerary for 2 Adults and 1 child (hotel + return flight) at a price of RM 692.22 including tax. This is our brief itinerary and estimated costs. We skipped on certain island tours as we have done them before. Other miscellaneous expenses include massage therapy, souvenirs etc. I personally did not go to any massage parlour because I was already exhausted at the end of the day. Mr Husband tried the coconut oil massage with a male masseuse (of course) and loved it. It was only THB 200 per session for 1 hour. Mr Husband exchanged RM 1000.oo for THB 8300.00 to fund our package trips there. I was to cover our dinner expenses and on anything personal I liked. Which amounted to less than RM 250 on my part 😛 I had to remind myself to get things for myself as well because I always seems to want to get stuff for other people first. Anyway, my next blog posts will elaborate more on the hotel and the safari tours. I hope somebody will find it useful. He he.. In short, there were 2 highlights of this trip. 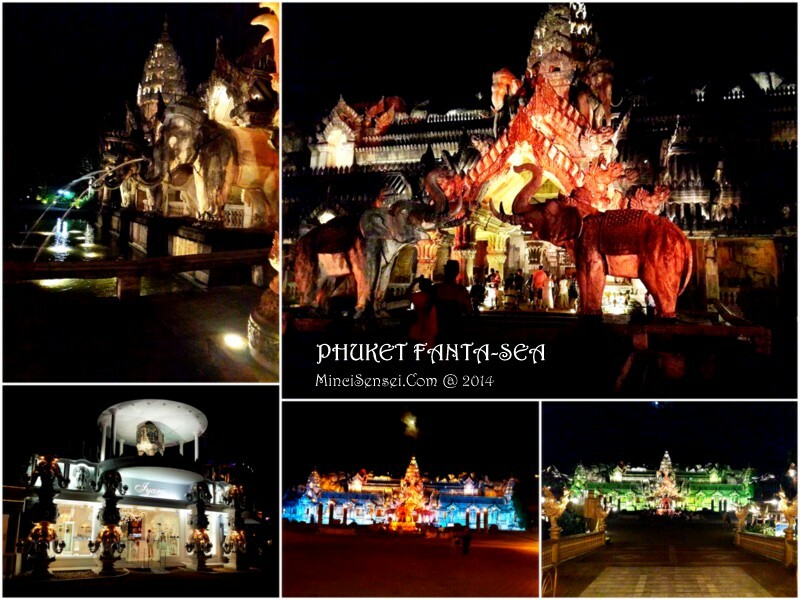 First is the Phuket FantaSea and the other is Island hopping specifically to James Bond Island since we’ve been to Phi Phi Island when we were in Krabi. To me this place is a mix of a mini theme park and a circus show. Its not a big place nor is the show heavy and elaborate, but it was entertaining nonetheless. There were lots of picturesque or cute locations to take photos and just hang around. Prior to this trip, Hazeeq have been watching Dr Seuss’s Horton’s who – this story about an elephant who is on a mission to save a world on a speck. Hence, my boy was very excited at the sight of elephants performing on stage at The Elephant Palace. To be honest, I don’t totally understand the storyline of the play yet I remained enthralled by the beauty of their graceful traditional dances and costumes. The show lasted for an enjoyable one hour and we hastily proceeded to the buffet area. 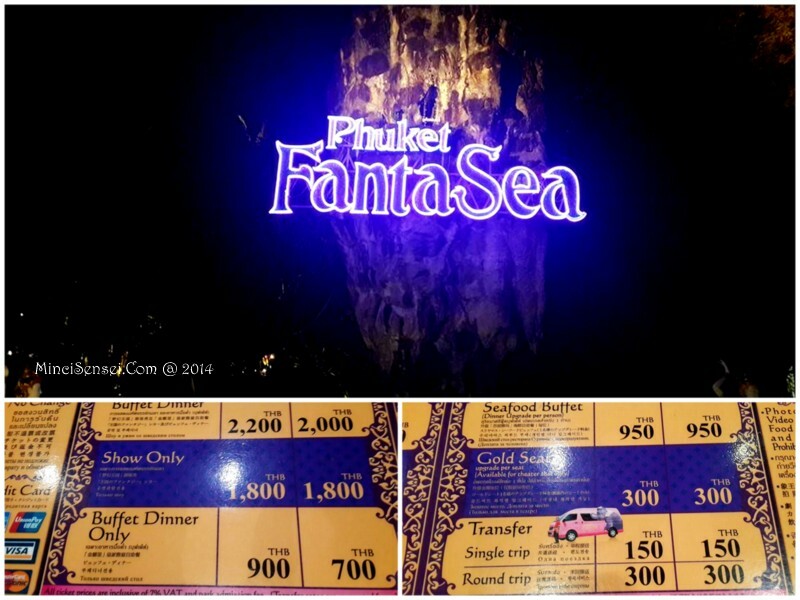 Phuket Fanta-Sea was very kind to provide a Halal buffet spread which we enjoyed to bits. It is however sad though to see some patrons wasting precious food. Some cakes were untouched after a flick of the fork at its icing. Oh dear, why can’t these people just finish what they took. Or shove it into their partners mouth or something. We spent roughly 3 hours there before the transport man picked us up as scheduled. Money well spent! 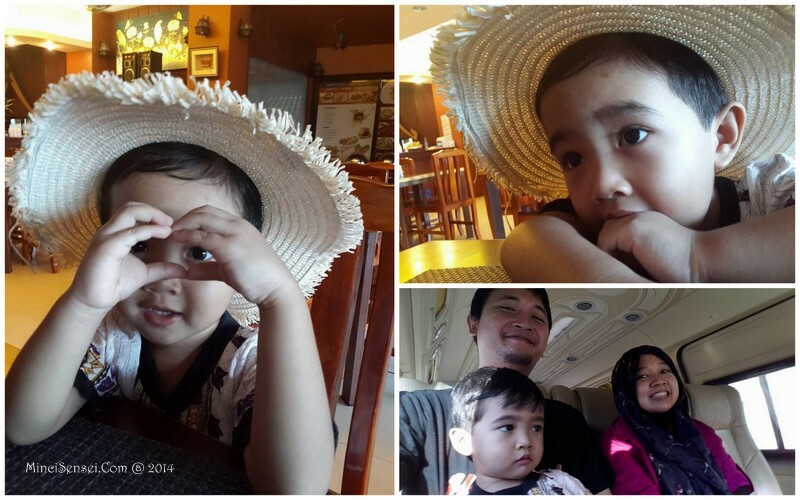 I had no idea that this trip was relatively safe for a toddler like Hazeeq. I was a bit apprehensive when they mentioned canoe-ing as part of their activity even though they say ‘can bring baby – no problem’. 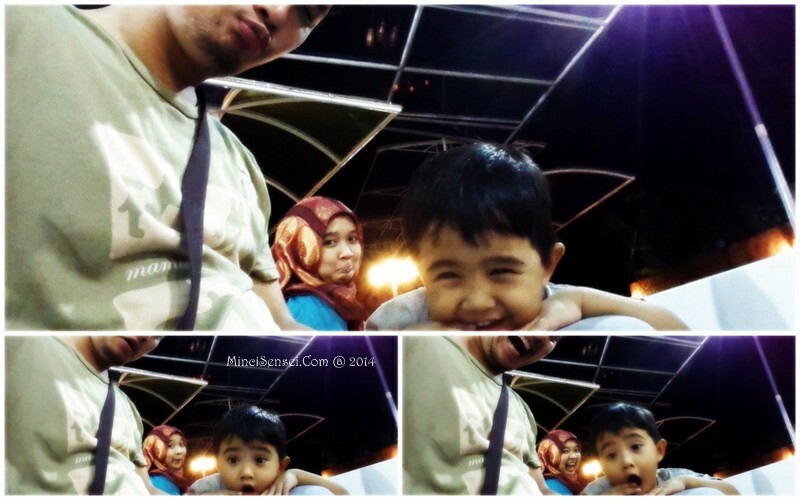 To be more safe, I brought Hazeeq’s swimming vest for him to wear on board. We were not taking any chances. Subhanallah, everything was just beautiful. Whoever discovered these islands are pure lucky – bless those who choose to share this with the world. And of course earn money from it. 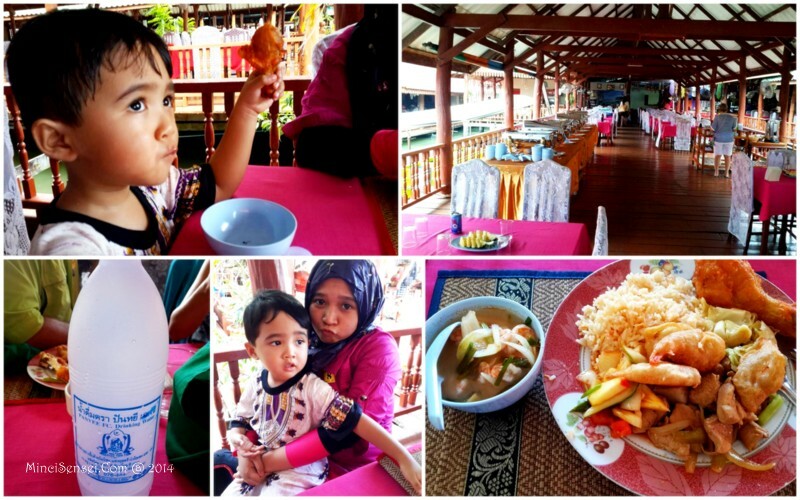 Lunch was at Koh Panyee – a floating Muslim fishermen village. Populated by nearly 200 families who although lives surrounded by the riches of the sea still needs to go to the mainland for dry goods and fresh water. Electricity is supplied by a generator to function during certain hours of the day. Tough life. Followed by a 90 min free and easy activity at Naka island. Our guide was ethical enough to inform us against taking picture with the ‘baby monkeys’ on the beach when approached by the locals. He said some of them went to the extremes of killing the mothers of these baby monkeys so they would be attached to their human mothers. He didn’t really say “Don’t” but mentioned he thought he should just let us know – for he fears paying the locals for a photo with these monkeys will fuel their ‘monstrous activity’. Most tour participants swam, sunbathed, drank cocktails and stuff. We were on the other hand itching to go home as my boy was already sleeping. So we just sat there, meditated, took a nap. .. until it was time to leave. 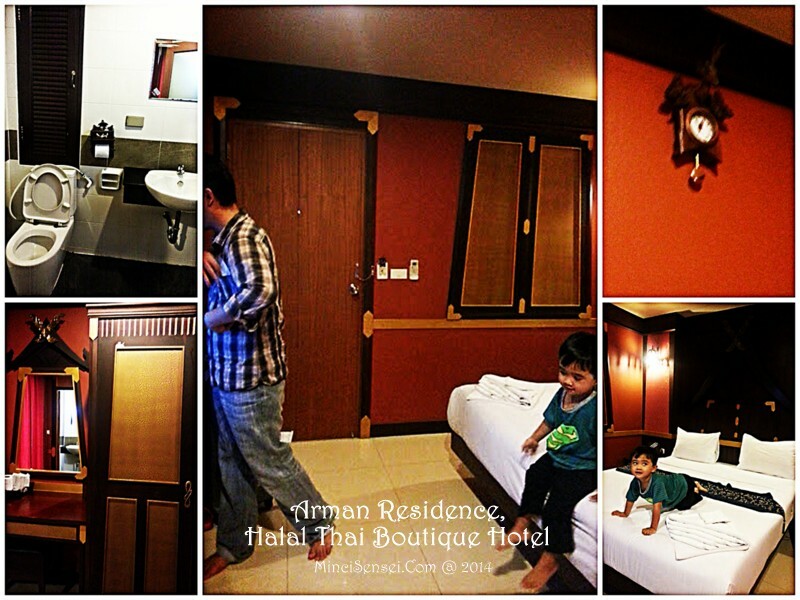 Arman Residence or sometimes known by locals as Aman Hotel boasts of being a Halal hotel. However, may I just remind you that Halal may not mean you have a Quran in your bedside drawer. Or Islamic housekeeping staff with niqab and all sorts. Halal here I think refers more to the cuisine it offers – which is good enough. At least I can have hot, freshly made sausages for breakfast at the hotel prior to my island hopping activities. The taxi driver seems to have difficulties in trying to find Arman. Strange though, cause I have always thought that this is a ‘famous’ hotel among Muslims especially Muslim Malaysian bloggers. We should have just mentioned Arman is the hotel in front of Galaxy Club for future references. He he. Arman has all the basic necessities on top of their in-house restaurant – a lovely,clean, quaint and adequately sized room which fits a king size bed, clean toilets, fast WIFI connection, air conditioning which has its bouts of ailments once in a while. We were contemplating on changing our rooms because of the latter. but then the AC miraculously behaved. I only had to ask 2 things from the reception ; The direction of the Qiblah and a mini kettle to boil my sons hot water. Considering the price we paid for the hotel – very budget I have to say, we were satisfied with the service and facilities available. The staff were extremely quick and helpful and excessively cheerful, their scrambled eggs tasted like home and they kept saying Hazeeq is a cute boy. Would we stay there again for god- knows- when next Phuket trip? 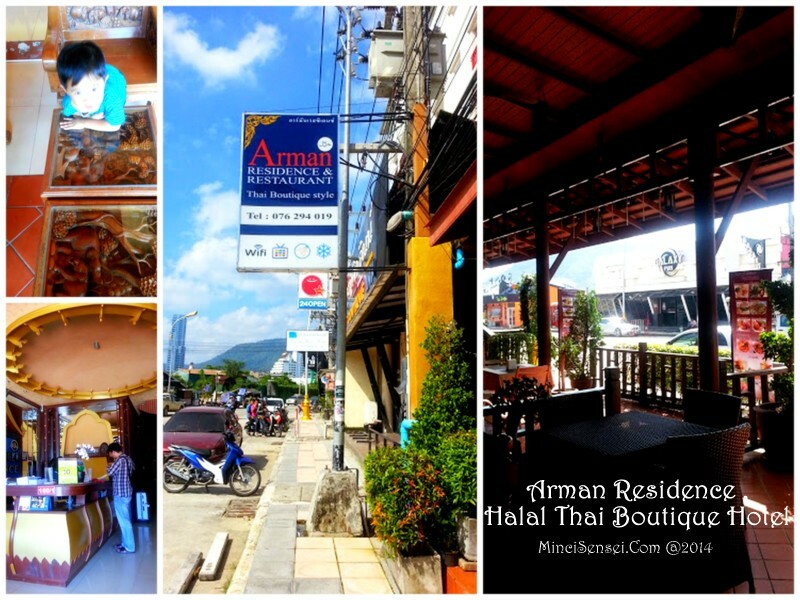 I would explore other options available – but have the Halal breakfast at Arman. Lol. 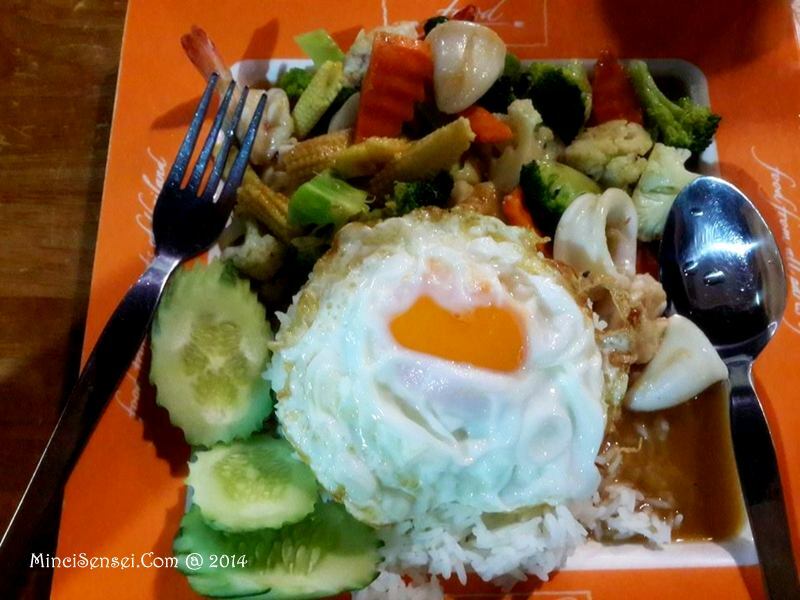 It’s nice to see that the culinary world has improved tremendously to cater for customers on special diet restrictions : vegetarian, vegan, kosher, Halal et cetera.. At the mention of Thailand among muslims, we would naturally go for food like tomyam, seafood, fried rice and stuff instead of where to get the best booze and things. Here’s a few of the places we get to experience during our 66 hours there. 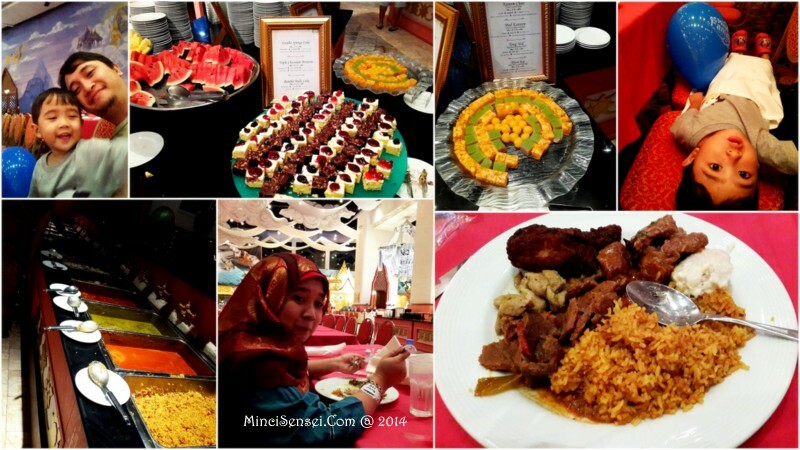 Sad to say, we didn’t get to taste Kesuma – a restaurant most Malaysians were raving about. As mentioned previously, our hotel has its in-house restaurant that serves all main meals of the day and they open as early as 7AM. Our free included breakfast was an ala carte dish between an American breakfast, Continental or Southern Thai breakfast. Portion was humungous for my appetite. Food was lovely. Especially when they’re free. This restaurant had a mix of Indian and Thai food. We opted for Thai cuisine with Hazeeq munching on a slice of Margarita pizza . 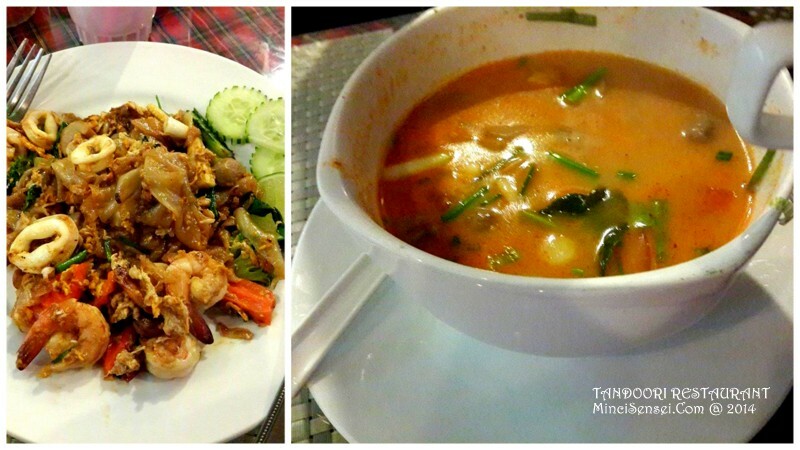 We had a glimpse at the kitchen and saw that the cook is of Thai descent and yum yum.. the tomyam kung was delicious. Not too spicy but still leaves you that feeling of wanting more. Mr Husband had a seafood noodle platter which was equally nice. 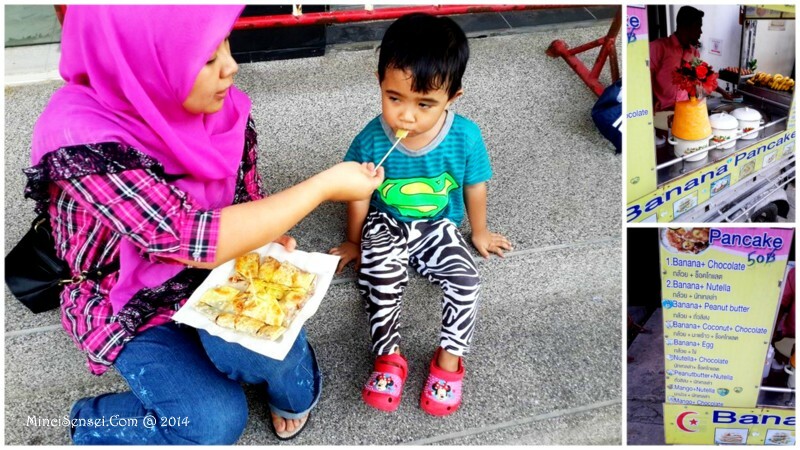 In between, we had the popular banana pancake for snacks. The vendors are like everywhere. 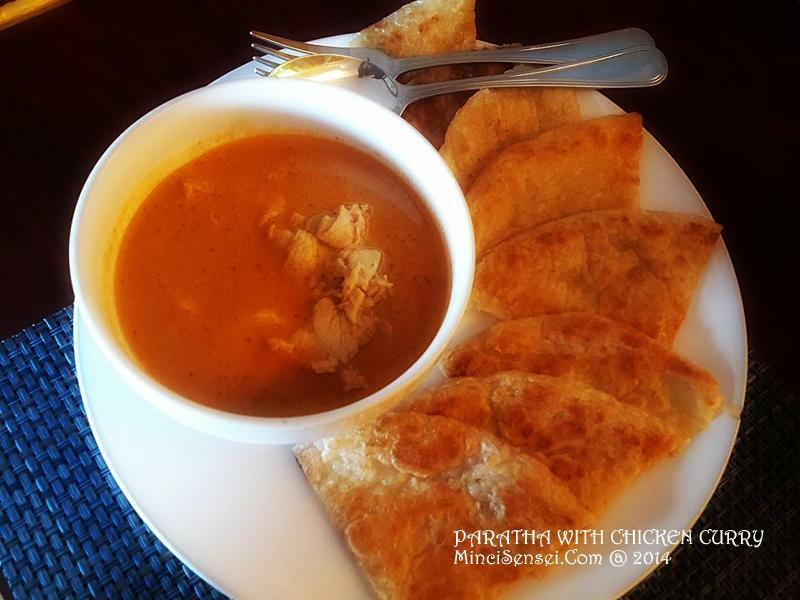 The roti is very crispy and full of calories! The most famous stall was Islamtai Bangja. 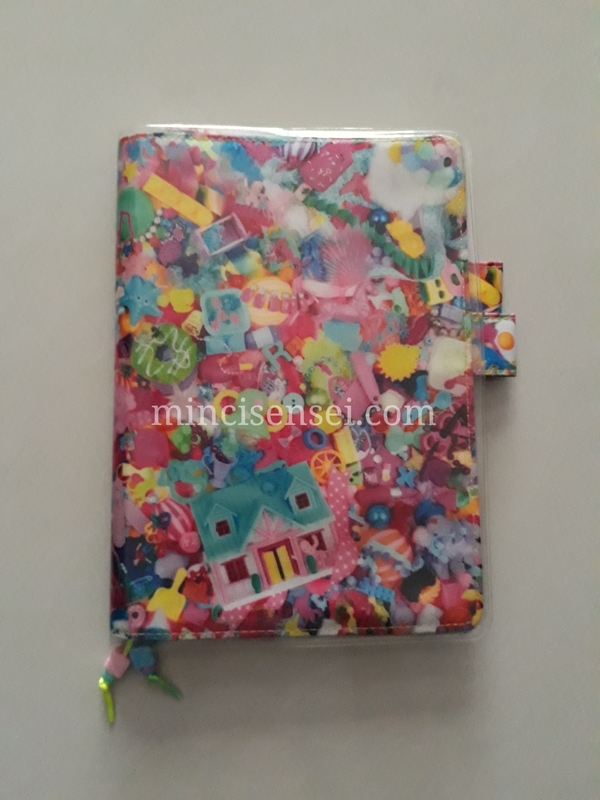 This was what most Malaysian bloggers recommended to which we did the same. 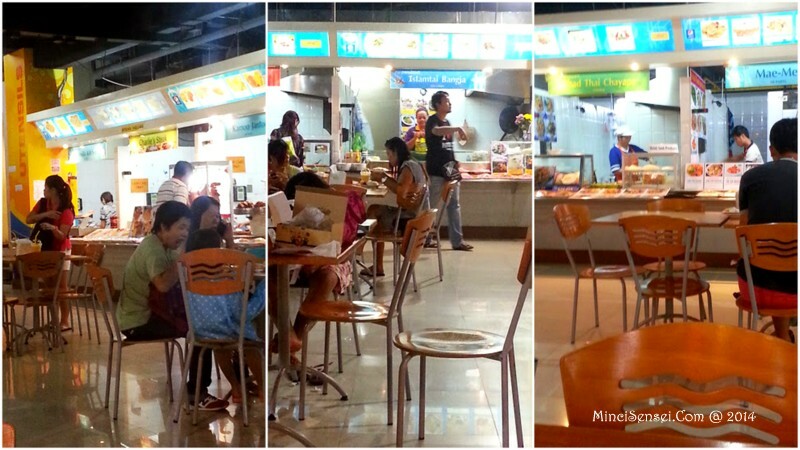 I however urge consumers to try the other new Halal stalls set up within the food court as well. For instance, Bismillah Cafe, Pad Thai Chayam and Mae-Mae. We only noticed their existence after we’ve ordered our meals. Mr Husband had white rice with seafood vegetable stir-fry mix. Mine was white rice with spicy chicken curry. Well, there’s only one buffet restaurant in the area. The briyani was rich in spices and lots of protein to choose from. 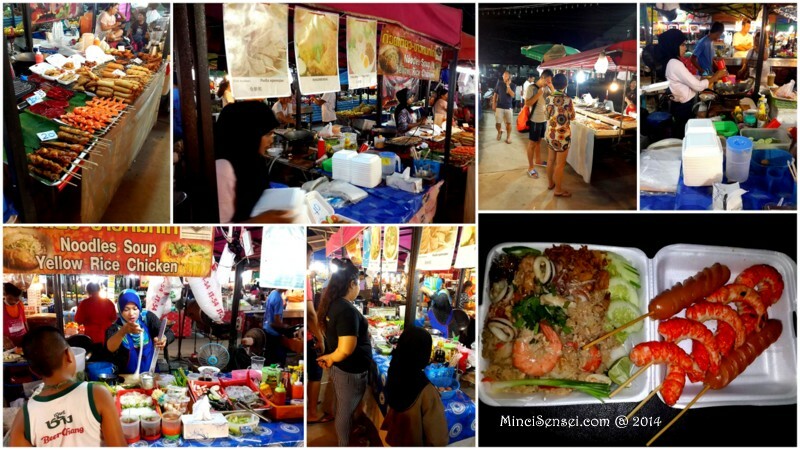 Don’t forget to taste the traditional Thai dessert – cincau in white syrup. Hazeeq was so full he had to lie down. Ha ha. This wasn’t really a choice – it was more of a ‘lunch-included package’. In a way, it is good for the villagers as it provides them with some sort of income. Thankfully there was always something for everybody. Hazeeq enjoyed his fried chicken very much. The Upin Ipin style . One could find almost anything at the market. We settled for its fried rice and grilled prawns. And trust me, that meal in the polysterene pack was actually for one person. Mr Husband and I had to share. Our mini culinary adventure went well. Now we have to burn back those extra calories on the threadmill. Huhu.